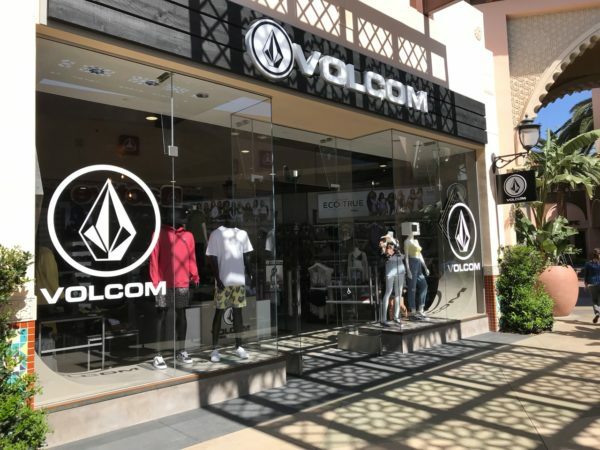 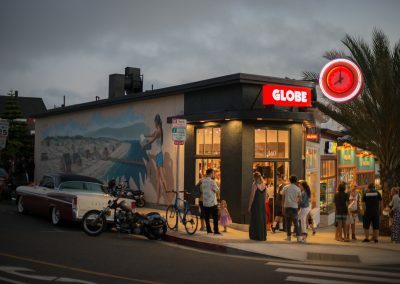 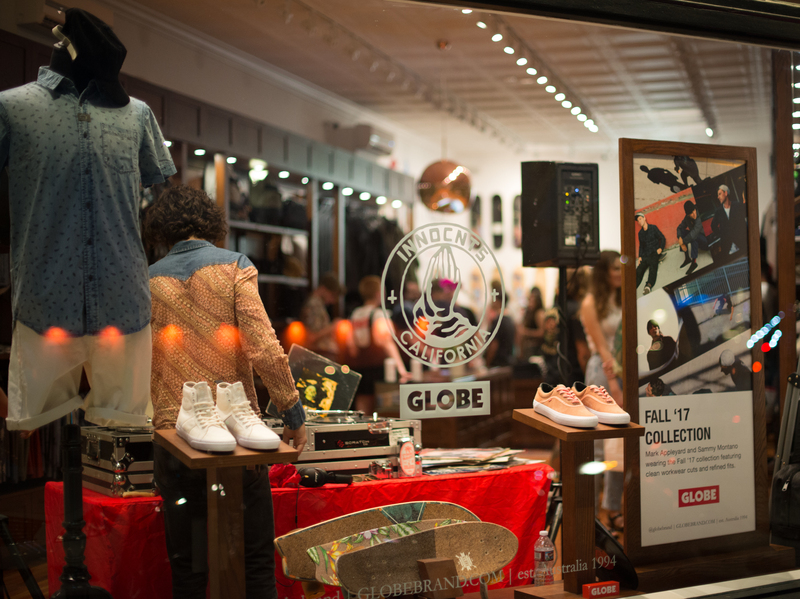 One week after opening their store in Hong Kong, Globe opens its latest flagship “cabin” store in Hermosa Beach, California. 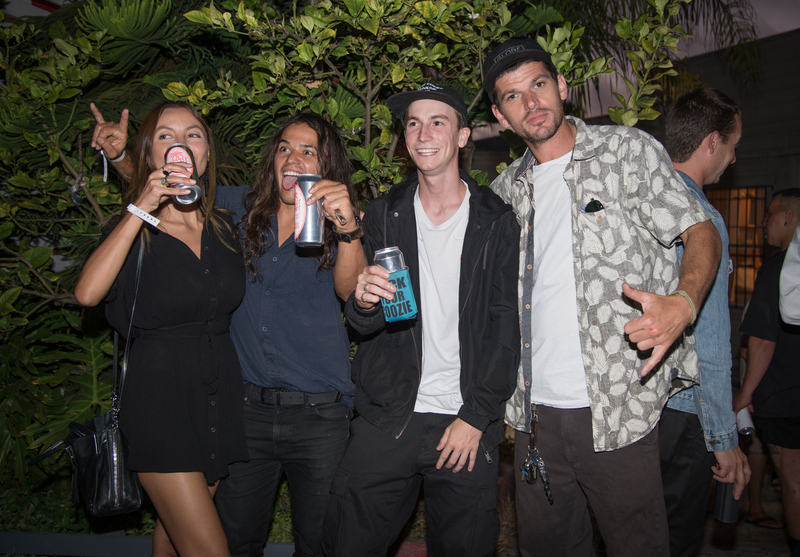 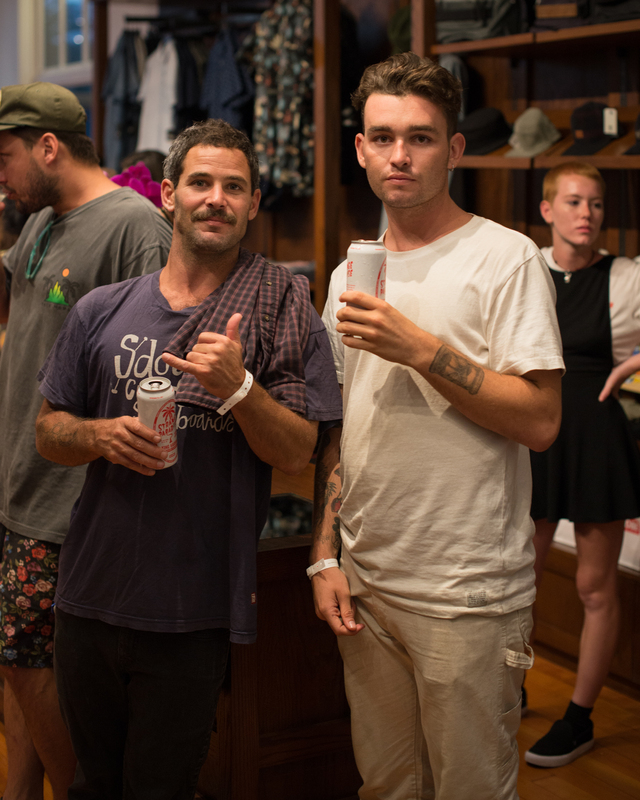 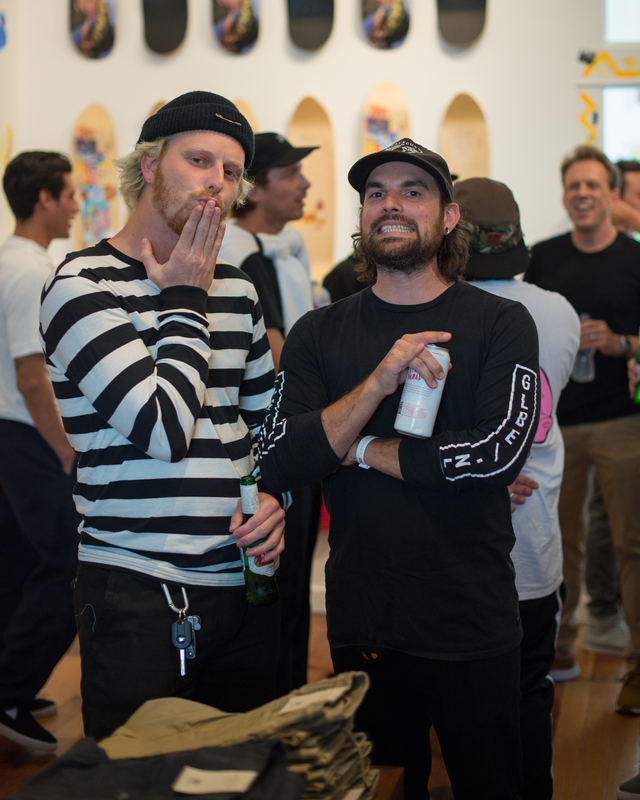 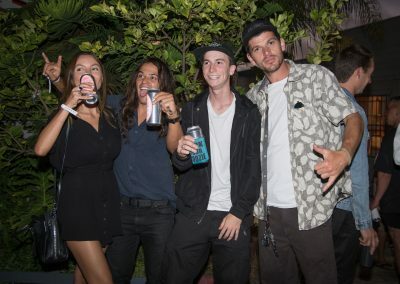 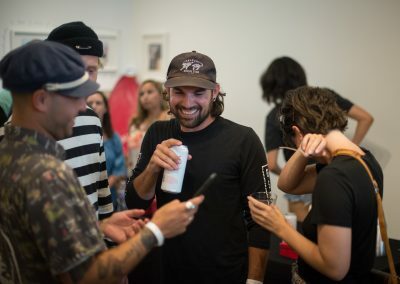 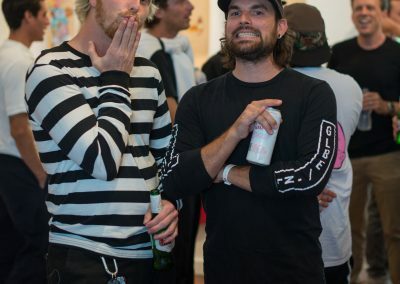 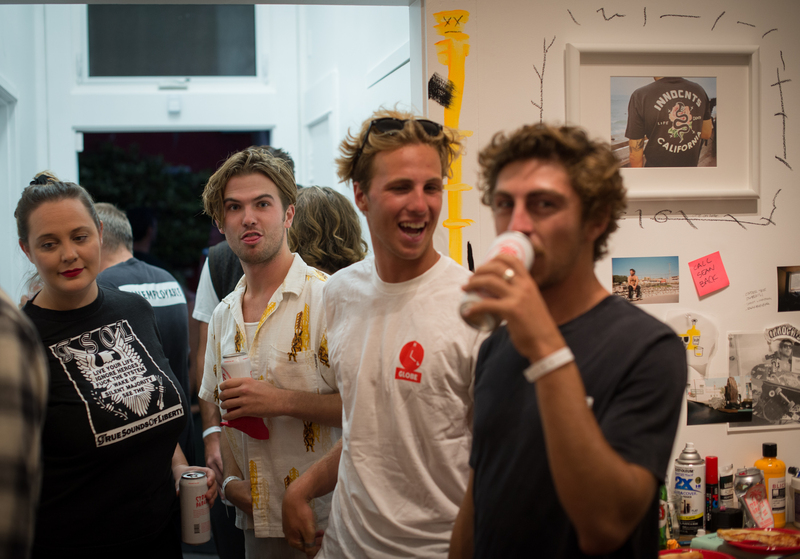 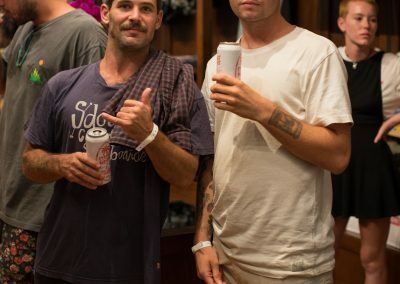 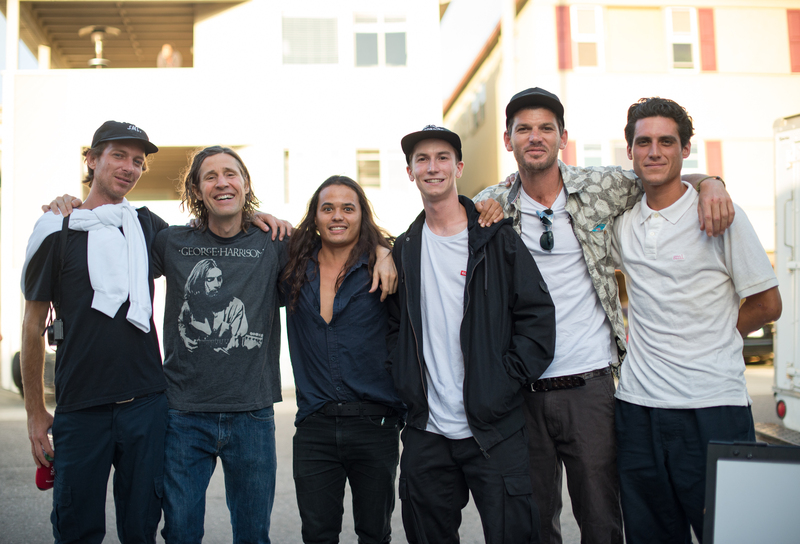 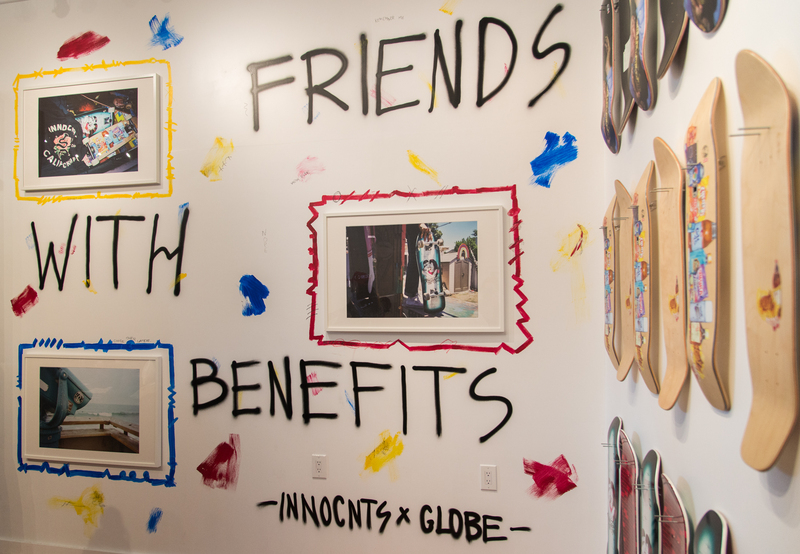 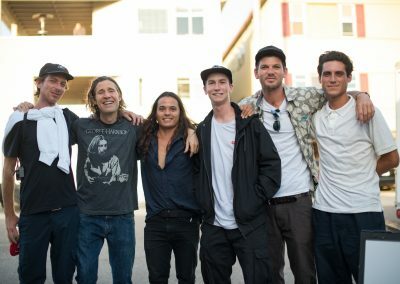 To celebrate, Globe skate and surf team riders, Mark Appleyard, David Gonzalez, Damien Hobgood, Paul Hart, Sammy Montano, Eric Geiselman, and skateboard legend Rodney Mullen were all on hand at the launch party on August 11th in Hermosa Beach. 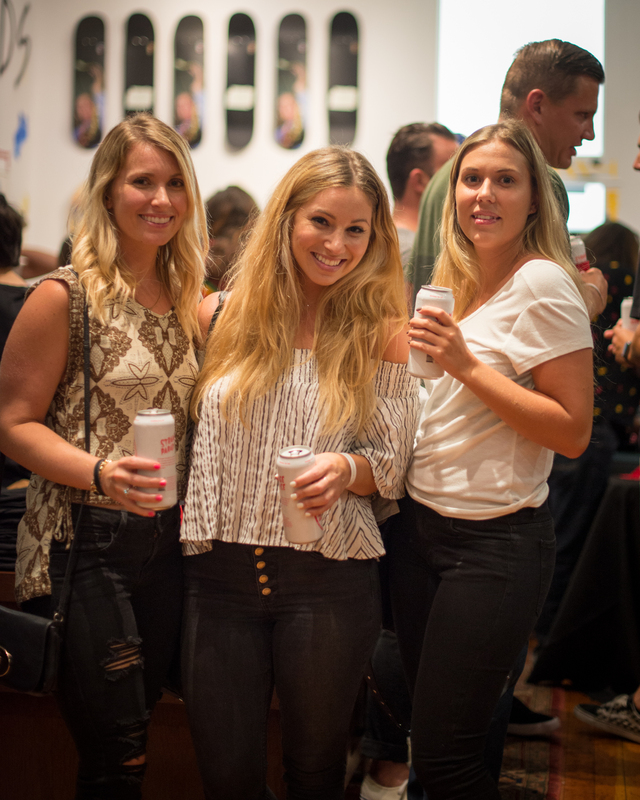 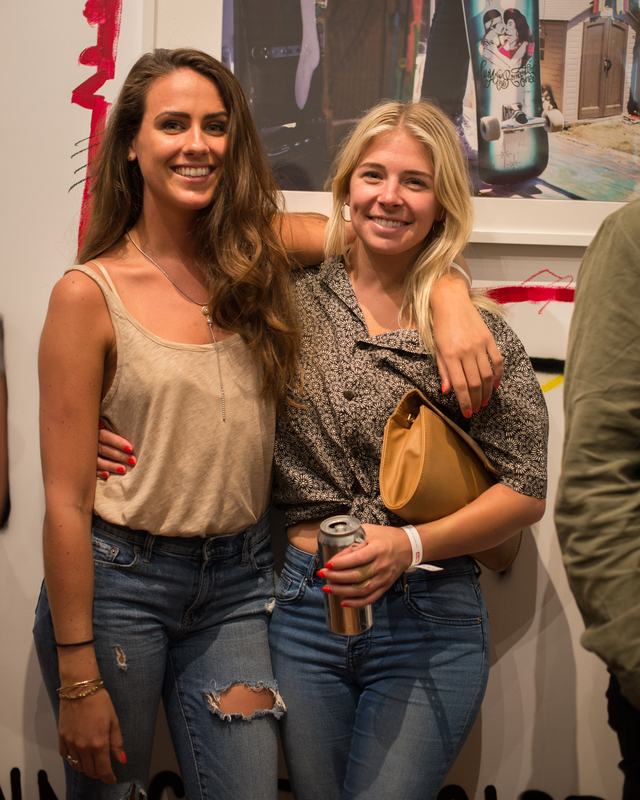 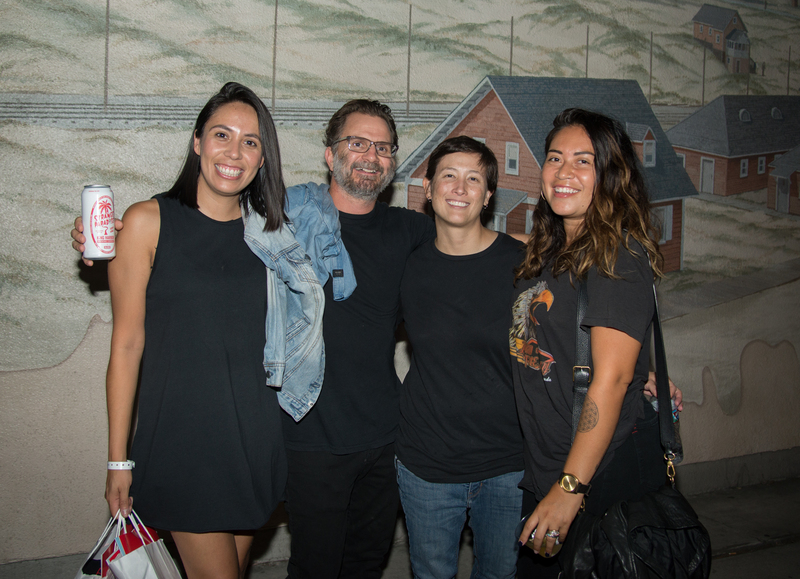 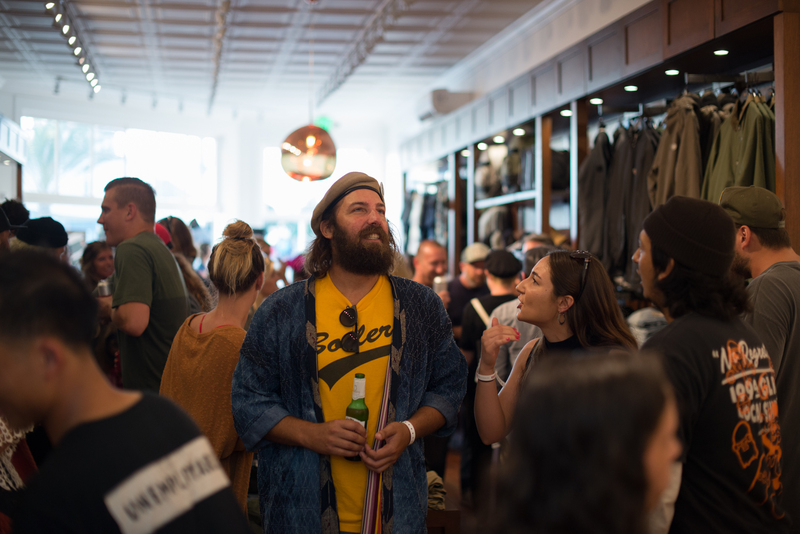 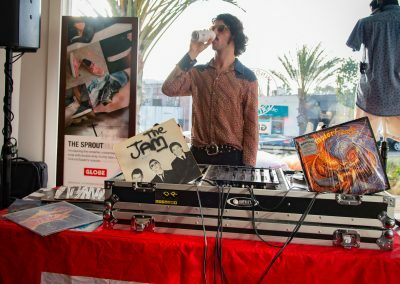 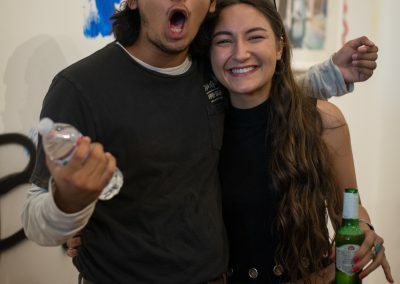 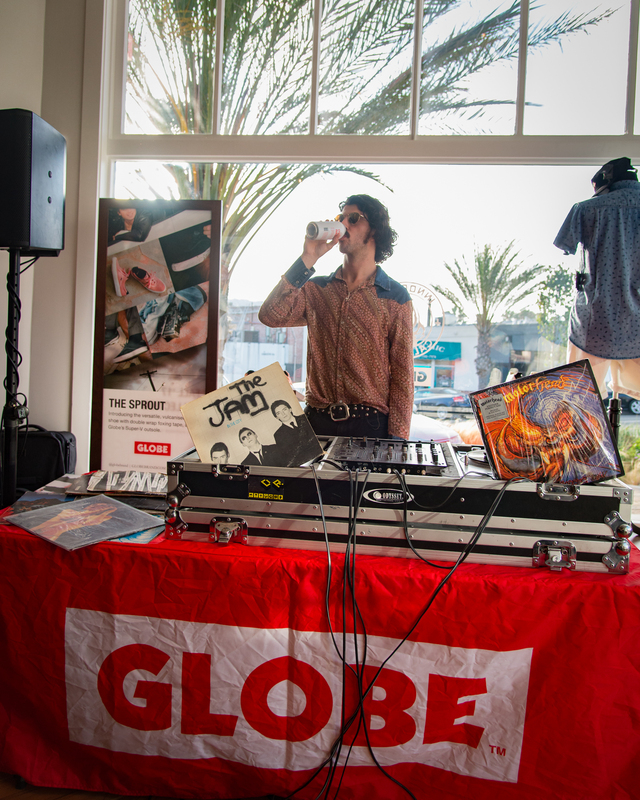 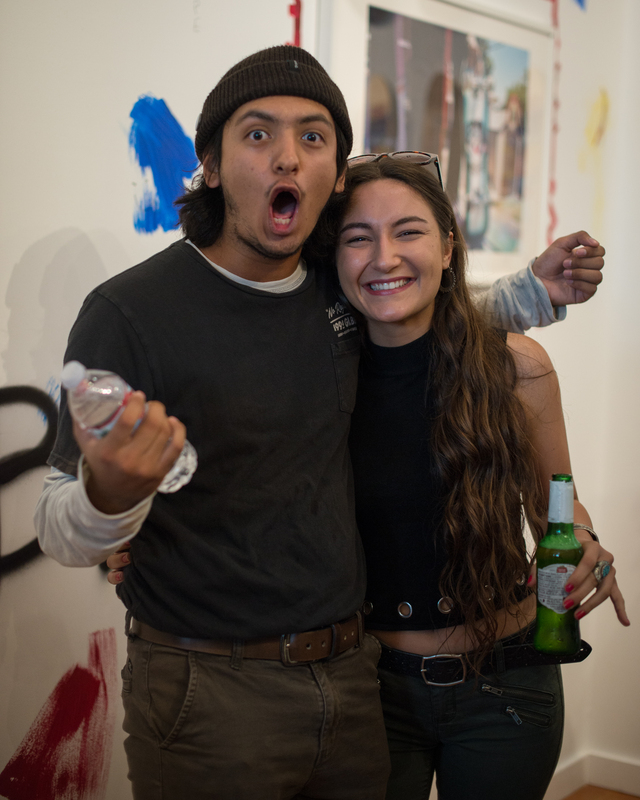 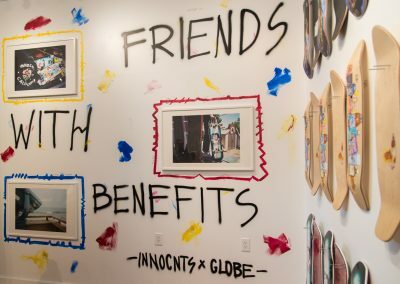 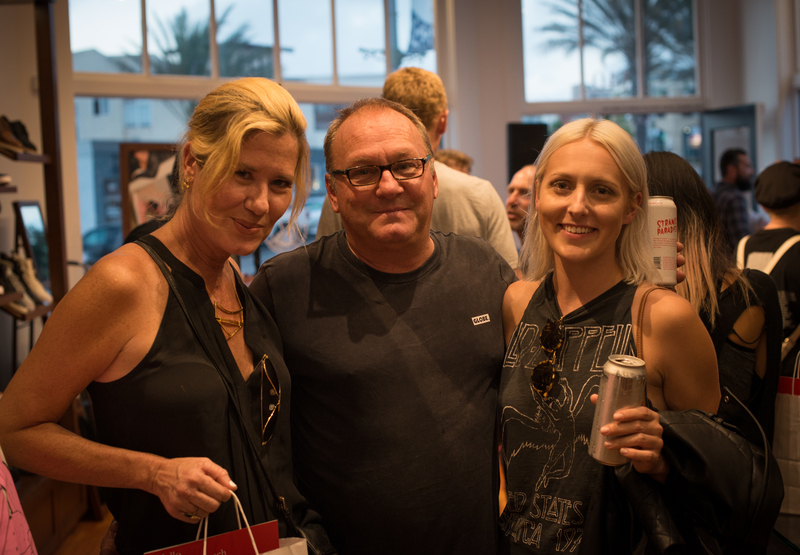 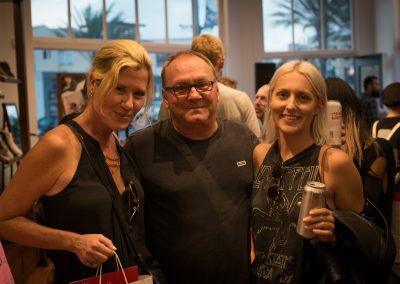 The event featured music by Josh Landau of the Shrine, Globe’s collaboration “Strange Paradise” beer with King Harbor x Select beer and a gallery exhibition by Innocnts artists Jose Aurajo, Rye Purvis and Stacy Kranitz. 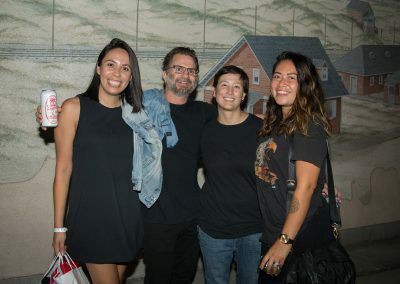 The design of a Globe Cabin pays homage to the Arts and Crafts movement founded in the 19th Century by Elbert Hubbard ( not the scientologist ). 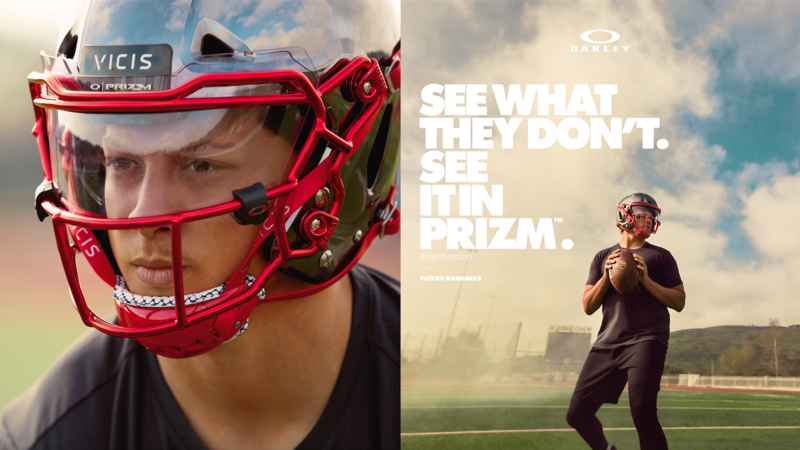 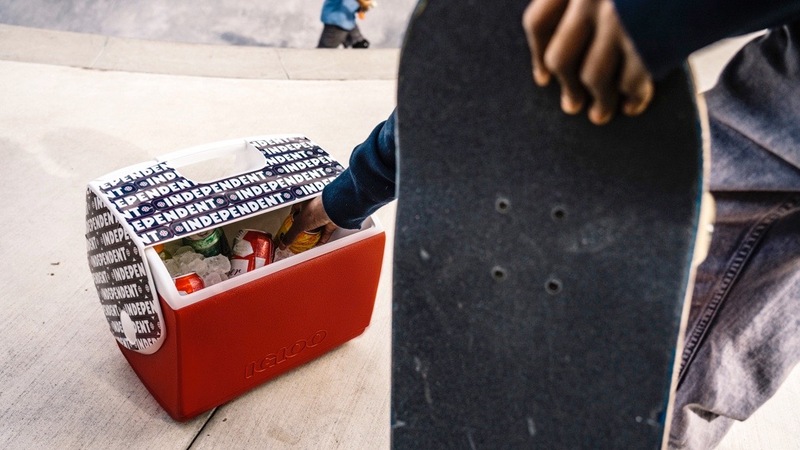 The philosophy of Hubbard was to make consumer products but with craft and purpose. 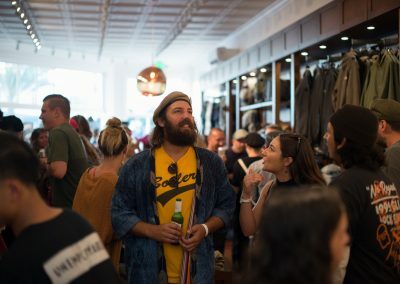 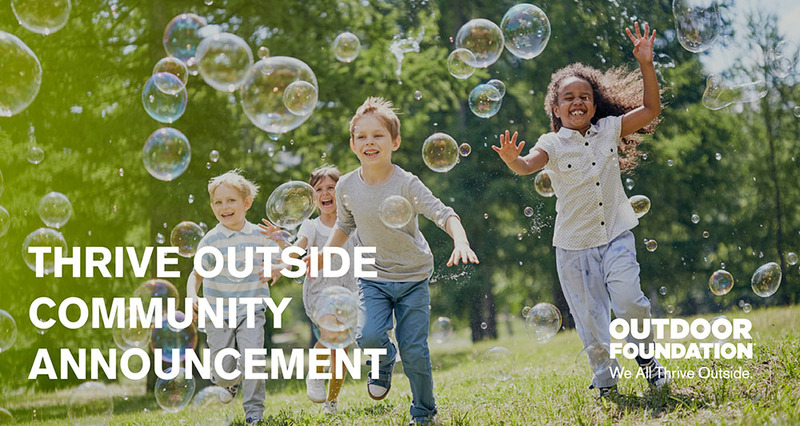 Hubbard reminded people that what they were buying needed to deliver more than a thrill of a purchase and had to deliver some emotional connection to the lifestyle they valued. 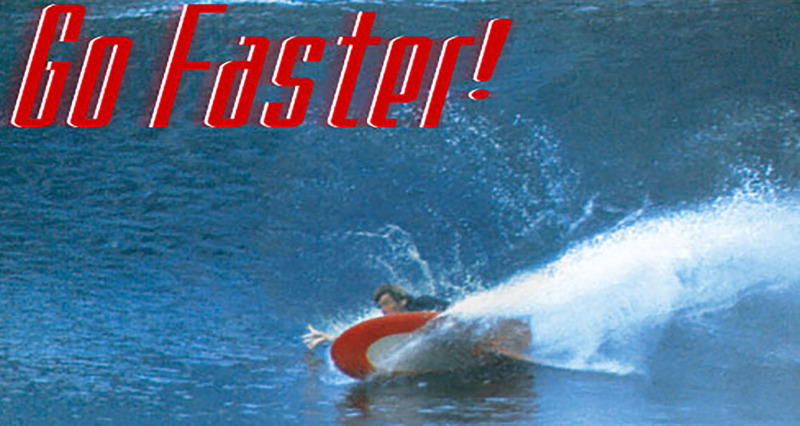 He was the world’s first hippy. Globe Cabin stores are located globally in neighborhoods where they can make a real cultural connection to the locals and their scenes, places where Globe’s deep 30-year boardsports heritage can resonate and contribute. 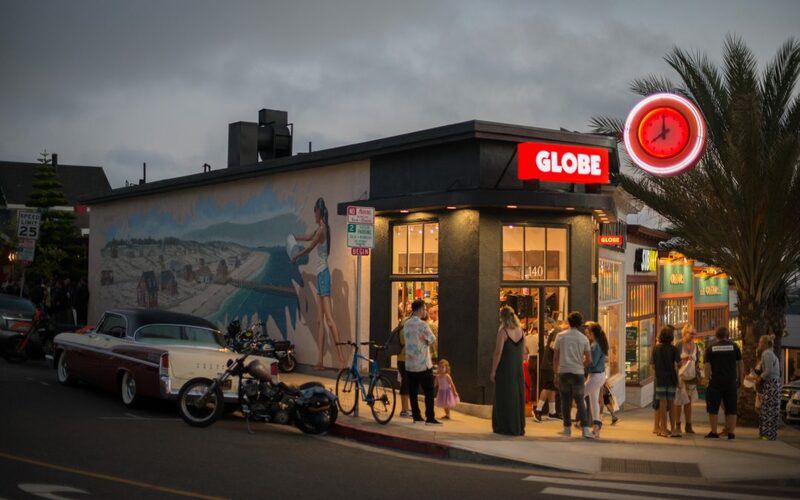 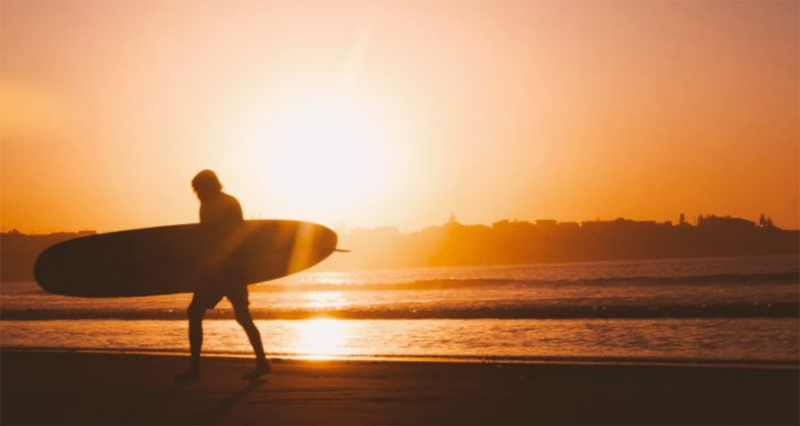 Globe Cabin stores are currently located in Sheung Wan, Hermosa Beach, Hossegor, Canggu, Kuta, Burleigh Heads, Bondi Beach, Torquay, and St Kilda. 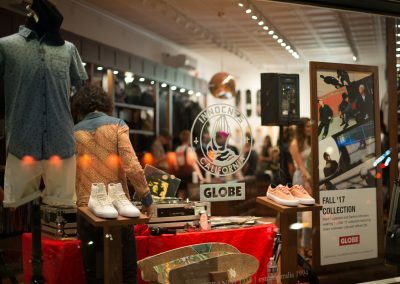 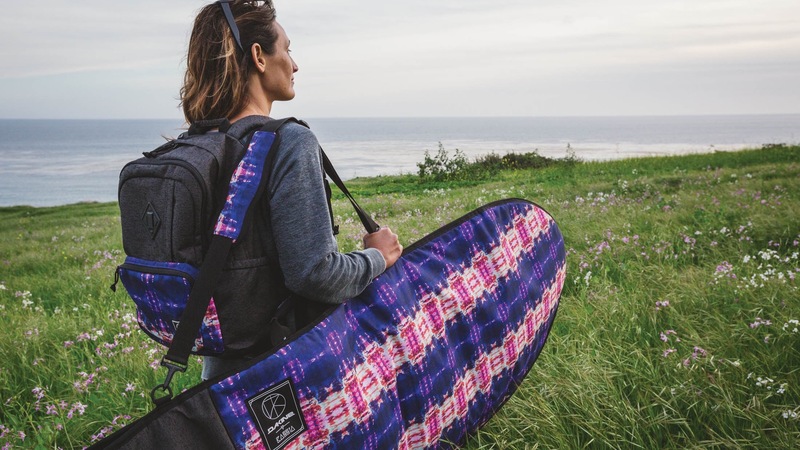 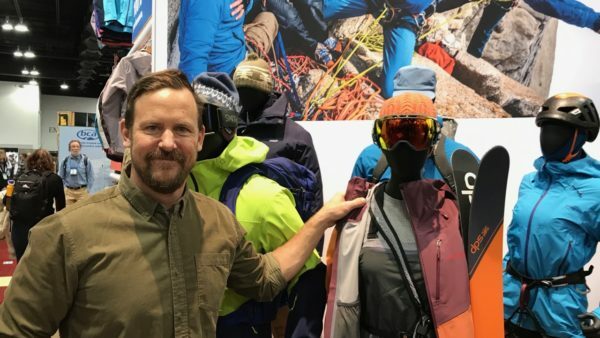 Globe International Limited is a global producer and distributor specializing in purpose built apparel, footwear and skateboard hardgoods for the boardsports, street fashion and workwear markets. 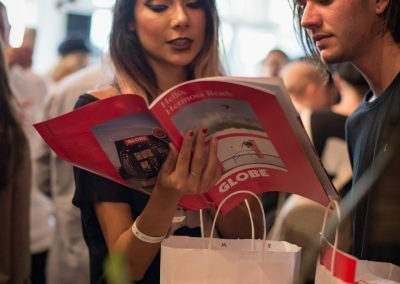 Founded in 1985 by three Australian brothers, Globe International’s core business is divided between proprietary brands, licensed brands and distributed brands. 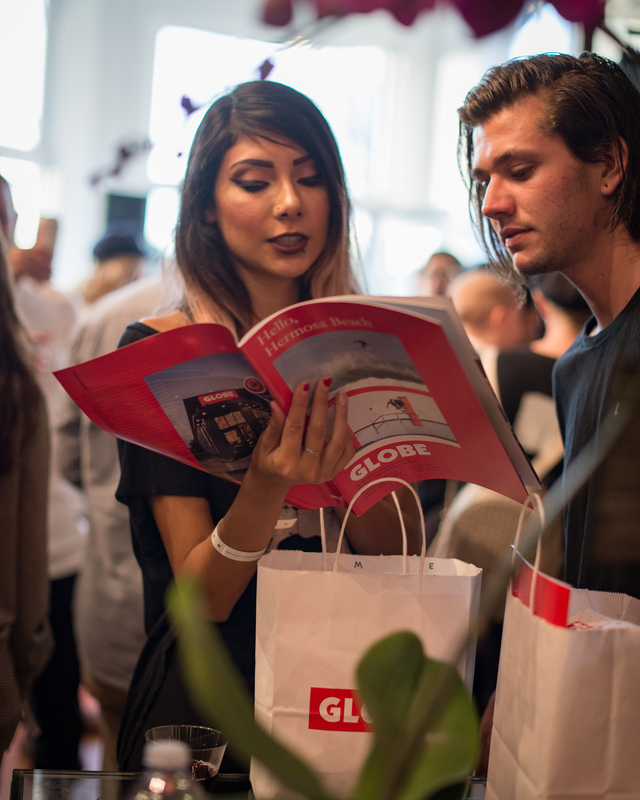 The Globe brand was established in 1994 and is now the largest brand for Globe International. 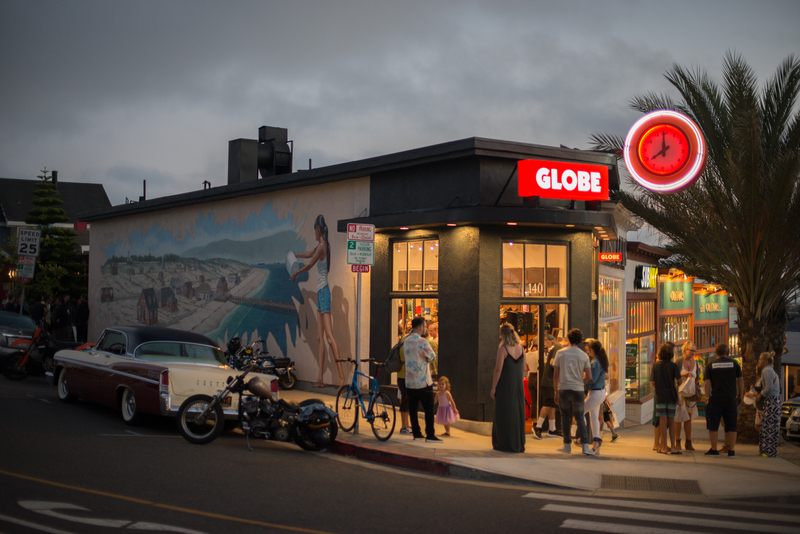 Globe is for the riders of concrete, oceans, and mountains – modern explorers of the Globe.